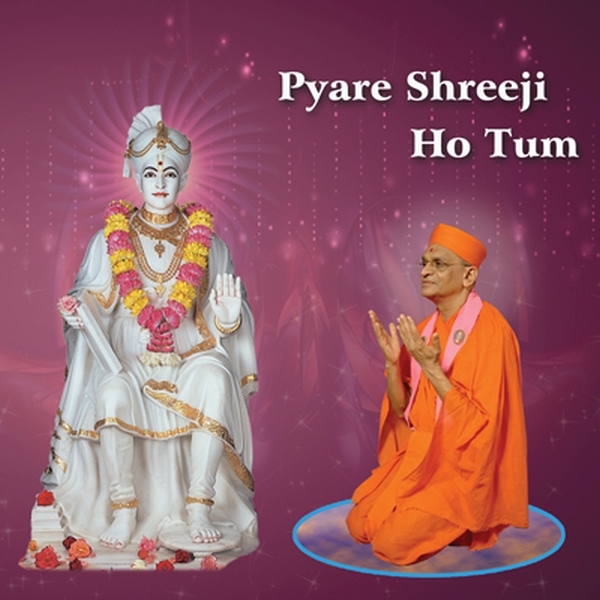 This CD of devotional songs, 'Pyaare Shreeji Ho Tum' (Beloved are You, Shreeji) was released during the festival held to celebrate the opening of Shree Swaminarayan Mandir Los Angeles in 2012. The compilation contains several songs that were commissioned for the Shree Swaminarayan Mandir Bhuj Golden Jubilee held in April 2012. The special song composed by Vasantkumar B Patel to celebrate Acharya Swamishree Maharaj's 70th manifestation year, 'Swamibapa no Ladako Dikaro' (Swamibapa's Beloved Son) is the first track in this CD.